Hello my friends, and welcome to this week’s Prayers for the Week post. 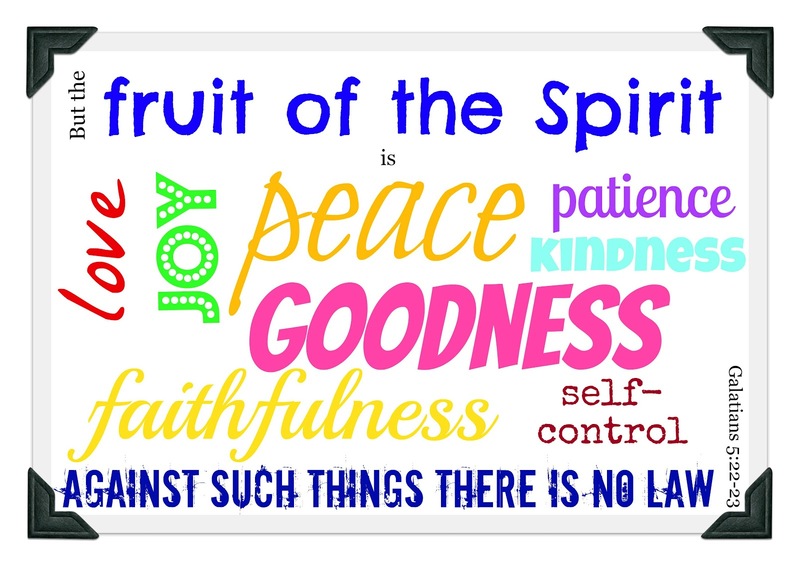 Today we’re taking a look at all of the Fruits of the Spirit that Paul talks to us about in his letter to the Galatians, and I’m here to say that far too often I fail in remembering these fruits. I think that I am better than I used to be, particularly in the matter of patience and self-control, but I still convict myself on too regular a basis. I don’t really have any advice to share with you if you fail in this as well, except I guess to strive each day to think about these fruits and take stock of how the day went, whether you failed in any of the fruits, and to get back up and try harder the next day. Certainly none of us is perfect — just Jesus — but by training our focus towards the fruits, we will be more cognizant of them and live by them more and more each day. Now, my friends, let’s get to the real heart of the matter, the prayer requests and praises that so many of you have. Thank you for praying for each and every one of these, and remember, if you have a prayer request, please do not hesitate to add it to our list so we can pray or give praise for you too! There are too many praises to count, and that makes me sad to think of what I am missing yet very thankful! Leslie and Matt’s wedding plans are coming along nicely. Jim’s procedure went well, and I made it to class and back without any problem. We may even have a full week of school!There have been times in the recent past that I have lost my focus, but I hope that I can “stay the course” and remember that the Lord is good. Have you ever noticed that when you start complaining to God he has a way of humbling you. This morning as I shoveled through snowdrifts above my knees to get from my apt. door around the side of the building to the parking lot where my car was, I was complaining up a storm. Well it was already storming pretty hard, which made me complain more. “God if you want me to go to church than this weather needs to stop or someone besides me needs to shovel these sidewalks.” “I’m to old, I hurt to much”, “I’ll probably get there and they will cancel while I’m out here shoveling” etc. I go to church at 7:30 a.m. on Sundays because we serve a free breakfast to anyone in need. When I got to church it was open and there were people there wanting to get warm and get something hot to eat. Not as many as usual but still quite a few. These people were so happy that we were there to feed them that some were practically in tears thanking us. Here I was complaining because I had to get out of my warm bed and shovel a little to get to my car, and these people were beyond grateful to just get in somewhere warm for a little while and get something to eat. Thank you God for setting my attitude straight! My friend Tanya left this comment in Facebook. Prayers for her classroom family, and prayers for the family of this angel:I have taught many children in my long teaching career. I remember them all for different reasons, but one sweet boy has taught me more than any student I’ve ever been blessed to teach, far more than I could have dreamed to teach him. My classroom was graced with his presence and my life was blessed with his smile. He will be missed but there is an angel in heaven with a big smile and a Vikings baseball cap looking over us all. You will be missed sweet boy. You will be missed.My response to her was this:Oh Tanya, please tell the family if you see this that they’ve got prayers coming for them from all over the world, prayers for their peace, comfort, and strength; prayers of jubilation that their little angel is in Jesus’ loving arms, and has no more pain, but also tears at the thought of losing someone so young. My heart breaks for them right now. Please pray for the nephew of my friend. He was just born and is sick and needs healing prayers for him, as well as prayers for peace and strength for his family! Please lift him up to God that he would be healed. In Jesus’ wonderful name we pray! Amen, and thank you everyone! Please pray for my brother-in-law who is having knee replacement surgery. Jerry will be having a knee replacement surgery tomorrow at JMH in Smithfield. Please keep him your prayers for a speedy recovery as he may lose his job if he isn’t back to work with in 12 weeks.UPDATE: Jerry has been released from the hospital, is home, and we went to see him yesterday. He is doing really well, so Praise God for a successful surgery! This morning I go under the knife once again. This time more skin cancer. For those keeping score, I have lost count but Lori Hope 6 cancer still has 2. Thyroid , parathyroid , breast, skin all 3 forms, lymph node and the newest salivary gland. Participating in relay for life has taught me to celebrate, remember and fight back! #1 celebrate. Every birthday is a victory. Remember- those who are fighting, and those we have lost the battle. And fight back!! Together we can end the fight against cancer. I need your help. Prayers for the Week – Praying for Money? Prayers for the Week – Epiphany! Prayers for the Week – Colossians 3! Prayers and Praises to my friend Rusty, his wife Elise, and their daughter as they welcome to the family their new baby boy, born Sunday, February 2, 2014, at 712AM! He is early, and they all have some medical issues to work out, so please continue to pray for their healing and recovery, but give thanks to God also for the wonderful blessing He has given to them! Praise the Lord! Putting it all out there because I am in need of very specific prayers right now. I have IBD, and flare ups are what caused me to need surgery. I’m seeing a new GI doctor tomorrow just in time, it seems. I’m having a flare today that’s causing a lot of pain where I had surgery, and I’m scared it’s a relapse. I need prayers that this heals quickly and that this doctor can help get my IBD under control, so I don’t keep having painful side effects from it. I spent too much on surgery to have issues again already less than 2 months later. I know my case is mild/moderate, so I feel strongly that we should be able to get me into remission. Struggle is that I’ve gone untreated since high school. Please pray specifically & earnestly. Dad is better-the fever is gone but still a rash and swelling. I talked to him today and they are going to keep him in the hospital a few days and try to figure out what is wrong. He sounds tired and says he has no appetite but well enough to talk to me. Thanks for the prayers and good wishes! Dad is not improving and they have put him in CCU for observation. I’m headed to Florida tomorrow to see him for myself. Please continue praying for her Dad, as well as praying for her safe travels to Florida. Thank you! Next Post: What I liked most about DCA!